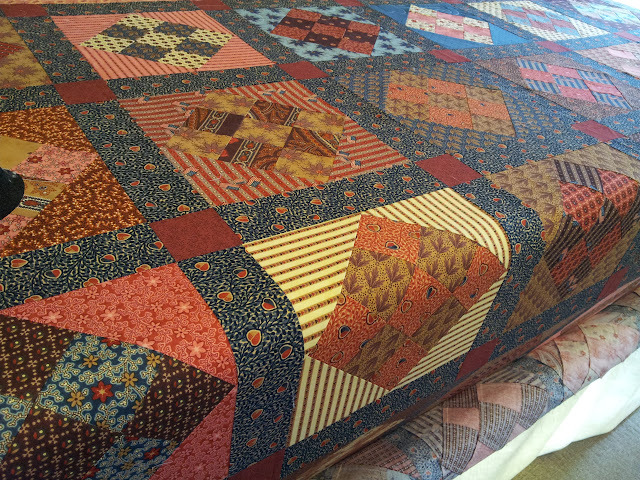 Two quilts of mine that I managed to get quilted and bound this weekend. 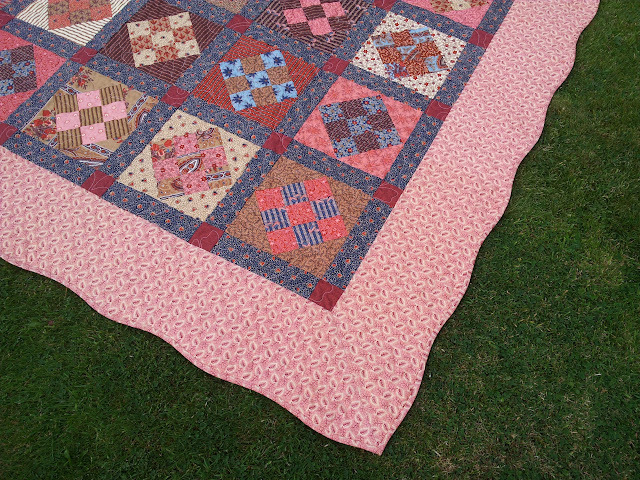 First my civil war reproduction quilt. A simple 9 patch block set on point and sashed with cornerstones. 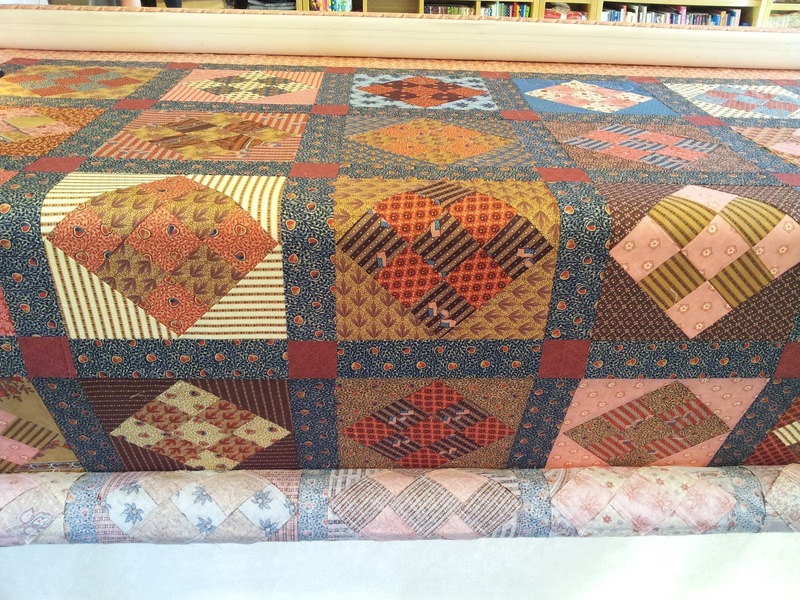 I put on a wide border which I then gently curved and bound with the same fabric. I do love civil war repro fabrics and I have plenty in my stash.....this quilt hardly made a dent! 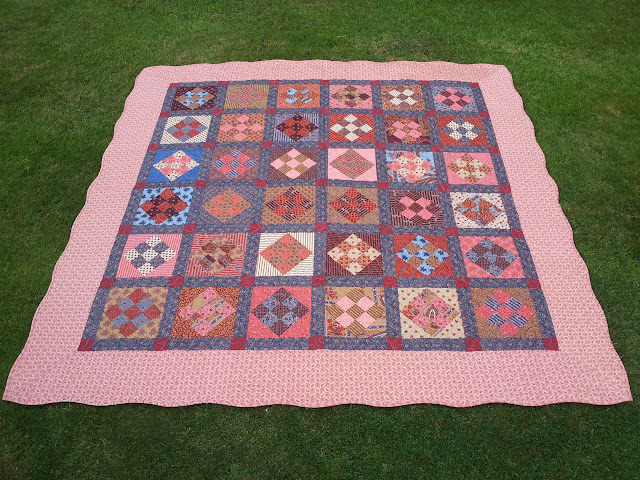 I quilted it with an allover pattern called 'come dance with me'. The second quilt was an Irish chain quilt I made using some red, white and blue fabrics. Simple to make but a lot of sewing of strips, cutting and re-sewing but it went together quite quickly. It measures 94" square so is rather large. I didn't add borders, just the binding in a plain red. I quilted it with a pattern called 'stars and stripes' which I thought was appropriate for the fabrics I used. Now, which of my UFO's am I going to finish next...........? 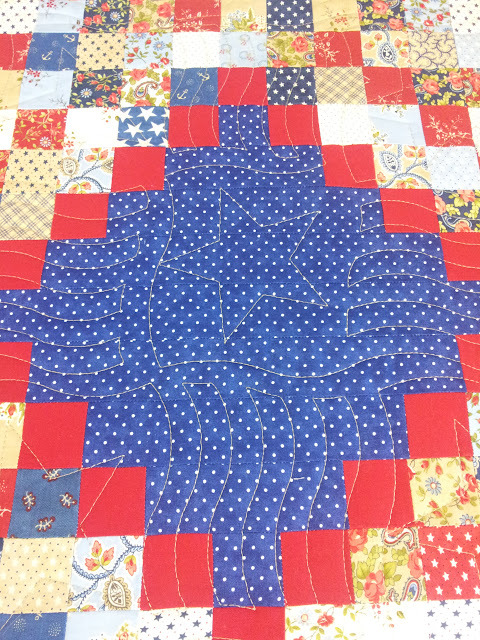 Love the border on your civil war quilt. Both really nice quilts. Wow! You're on a roll! Well done Chris!